Hugo started walking here at Redline in 2017. A full brother to Square-D Century, we are very hopeful that he will exhibit the same depth of quality as his older brother. 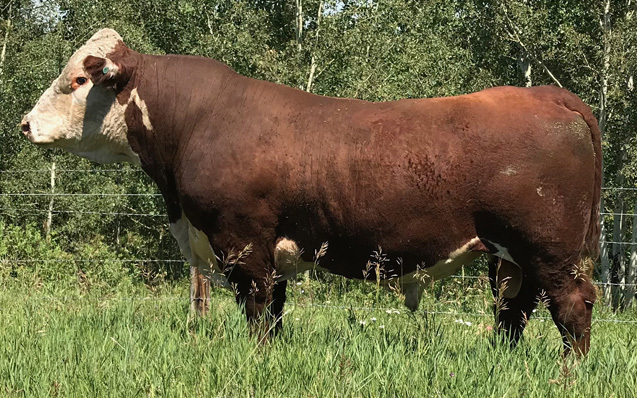 Besides being an ET son out of one the premier flush cows in the Square D herd, Hugo's sire is one of the leading bulls at Ned and Jan Ward's, south of the border. His loose hide and wide girth are striking, and no matter how the bull stands, all feet are correct and his structure is sound. He carries so much muscle, without being too 'tight' or giving up room for any extra fleshing. 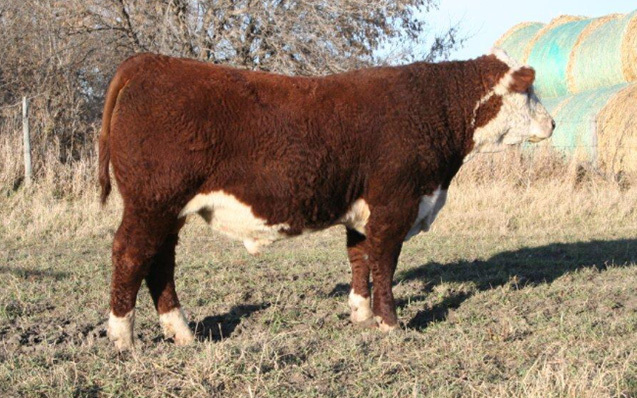 His calves will hit the ground in 2018, and we hope that his sons will be low birthweight, with great potential for commercial bull buyers. If they are anything like Hugo, they will raise the 'right kind' of steers, and will be a great addition in any program. 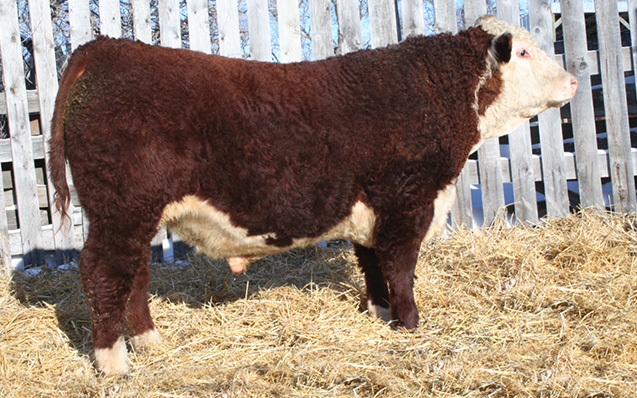 Square-D Hugo ET 406C is our most exciting 'up and coming' on the Hereford side of things, and we look forward to showcasing his calves in the upcoming year.